Ina and Paul (our bus driver & tour guide) picked up our team for our last day of directed ministry in South Africa. We hopped into the Toyota van for another adventure. As we pulled away from our guest house, Ina prepared our team with what we would be doing this morning. We were heading to Mfuleni, another township on the outskirts of Cape Town, to assist one of the local pastors and to partner with his congregation. We would be doing door-to-door outreach and sharing the gospel with those in the neighborhood surrounding the church. We pulled into the township and parked in front of the church. We were greeted by Pastor Jacob, a native of the Congo who God called to pastor the church in Mfuleni. He told us about his path to ministry in this community, how he resisted God for years pursuing education and other work opportunities. It wasn’t until he settled here that he felt peace in God. Jacob told us more about the community we would be witnessing to. Many of the people in the township live in fear of evil spirits and practice ancestor worship. He emphasized the importance for us to come to them with the message of Jesus and His victory over all evil. There was a heaviness to Mufleni that is hard to describe. After praying for the community, we split into smaller groups and began walking through the township with embers of congregation. Along the way, we would stop to play with children, distribute snacks, pray with people, and even go into the homes of those who wanted to hear more. There was, however, a heaviness to Mufleni that is hard to describe and we prayed that Jesus would remove that darkness and shine his light though this township so that more people could come to know Him. Day 5 in Capetown started with an amazing breakfast, prepared by Jenny at Highlands Lodge, followed by team devotions. We spent the morning with the Western Cape Team praying for the campus, the community, the world, and each individual present. Several CCC team members shared how this is such an integral part of their week and their ministry. 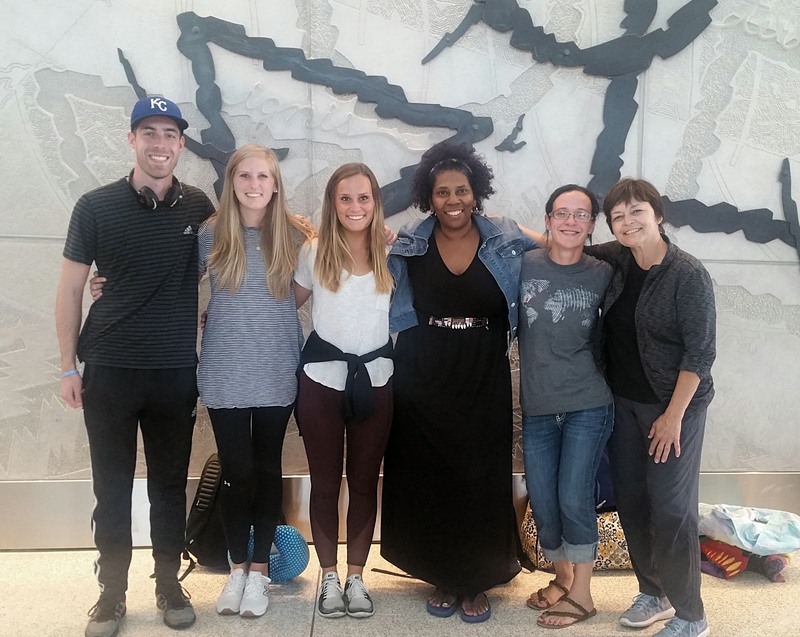 Our team felt the challenge to expand our own prayer times to include this team, university students, and the world. Ina, who works with Community Outreach for the Western Cape Team, took us to Cornerstone Fellowship International in Khayelitsha. Khayelitsha is one of the largest townships in the area surrounding Capetown in which poverty is great and jobs are scarce. We brought soccer balls and jump ropes to play with the kids. 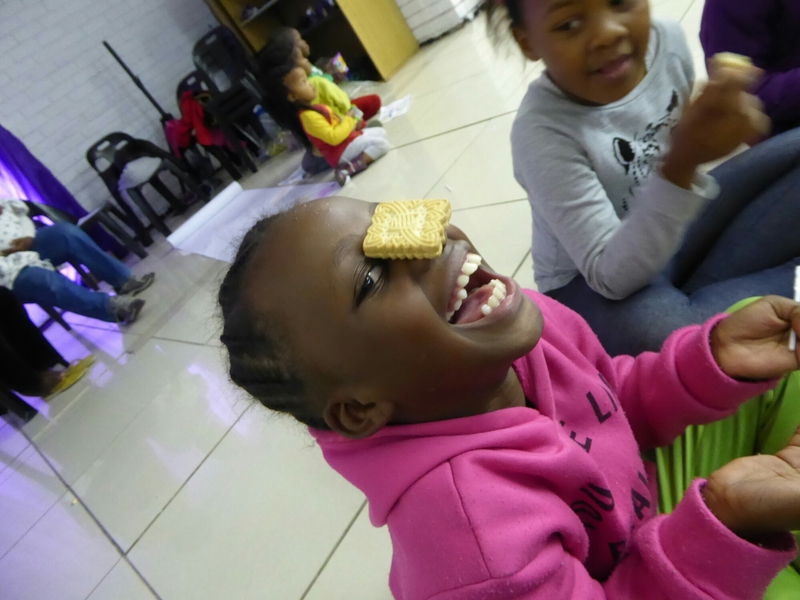 We assisted with active praise and worship songs, crafts, lessons, prayer, snacks, and just had lots of fun with these enthusiastic & loving children. Each team member was assigned a small group of children to work on crafts and to pray with them. We praise God for each child who is so very special. We pray for them to continue to grow in their love for Jesus. As we left the area, we stopped to see another great view from Lookout Hill. We were struck by the great need which lies so very close to such beautiful scenery. We joined the Western Cape Team & their families for a fellowship/farewell dinner at the home of Jerrah and Tammi Jackson. In addition to amazing food, we were able to enjoy the company of these committed Kingdom workers. 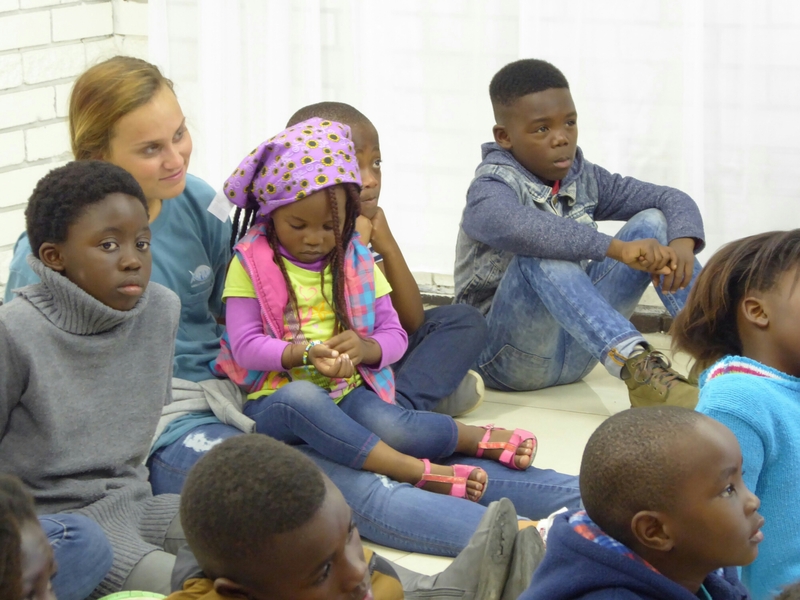 Many of them have shared stories about how God called them to Capetown to work and serve at various times throughout the week. What a memorable way to close out this day! On Day 4 in Capetown, we had another opportunity to share the Good News with students at the University of Capetown. We hit the ground running in our groups of two as we shared that God loves us and has a wonderful plan for our lives, that sin has created a separation or gap that keeps us from knowing and experiencing His love and plan for our lives, that Jesus was God’s provision for bridging that gap when He died for our sins, and that He invites all to who believe that Jesus is their Lord to experience a new birth as they receive him through faith. Many students were eager to listen and talk about their perceptions of Christianity and how they are trying to figure out what they believe for themselves, rather than just accepting what they grew up with. We all felt like today was a lot easier than the first day and we had the opportunity to go out with CCC staff or a CRU student leader to observe how they share with students. As a group, we spoke to 31 different students today. A few students were already believers but were not connected to a student group or church, so we invited them to the CCC Life Group which meets on a weekly basis study, prayer, and discipleship. Some had other beliefs, however, were interested in understanding more about the Christian faith. Still others, actively engaged in asking questions as they were in search of something to fill emptiness and give them peace. Even though no one verbally said they were ready to accept Jesus as their Lord on this day, we have no doubts that seeds were planted. We rest in knowing that He is able to use our small offering to do great things in these students’ lives. Later in the afternoon, the team had the opportunity to go up to Table Mountain National Park, one of the New 7 Wonders of Nature. The views from the top were astonishing and we were reminded of just how big our Creator really is. Day three began at the University of Cape Town where we worked with Jerrah Jackson and Campus Crusade for Christ (CCC). Jerrah spent time demonstrating and explaining the materials CCC uses to evangelize. He shared that there are many world views represented on this campus, however, students are very open to sharing about their beliefs and hearing ours. Once we got to campus, we broke up into groups of two and did a prayer walk for the students, leaders, and the atmosphere of the campus. After we finished praying, we started conversations with students where we asked them questions about their views of Christianity. We then explained about God’s love for them and His plan to bridge the gap created by our sin, as well as, the need to make an individual choice to accept His grace. This was the most challenging part of the day for the team and took a lot of strength from the Lord for us to intentionally talk to strangers about Jesus. We took a lunch break and then joined the CCC life group with Jerrah and the students who are a part of the group. MK, a student leader, delivered a message on Matthew 28:18-20, which certainly encouraged our team and the students who were present for the life group. After the message, we broke into groups and prayed for each student at the meeting and for the students on the campus. It was incredibly inspiring and energizing for each team member to meet bold, young Christians from halfway across the world who are passionate about sharing the gospel with their peers. After a supper, we finished our day at the waterfront mall and continued to bond as a team and just have fun. We determined that we grow in our faith when we get to the end of our comfort zone and abilities and have to fully rely on God to work through us. Tuesday, our team drove out to help Ina, Dir. of the Global Impact Movement for CRU, do a children’s program at the orphanage in Guguletu which was started by Pastor Julius and his family. We spent lots of time playing soccer, jumping rope, doing crafts, singing songs, and helping with the lesson Ina had prepared. 26 kids, ranging from toddlers up to high schoolers, are cared for and given love and attention through these programs. We were moved by stories of the difficult lives these kids have endured and inspired by those who believe God has a great plan for them. 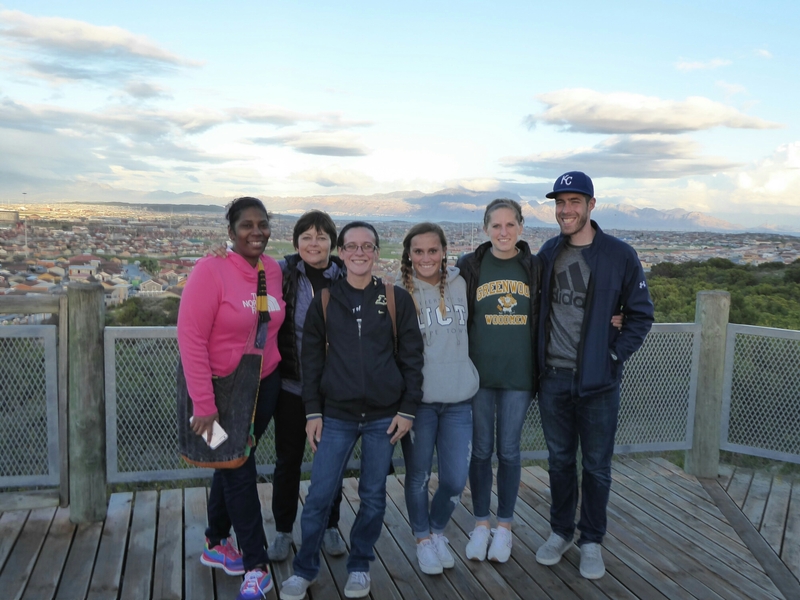 In addition, we were given a driving tour around the city and were able to see beautiful views of the Atlantic Ocean as we looked across toward Cape Town and Robben Island, the island where Nelson Mandela was held prisoner. We finished the night by having dinner with our missionaries, Jerrah and Tammy Jackson. We enjoyed spending time with them, encouraging them and playing with their two children, Rio and Kai. We gave them some gifts from home and saw their faces light up when they received books, toys, and the biggest bag of chocolate chips anyone has ever seen. It was encouraging to hear their story and how God is using them in this city. We are anxious to arrive in Capetown to serve alongside Jerrah and Tammy Jackson from CRU Capetown, South Africa. Stay tuned for updates.